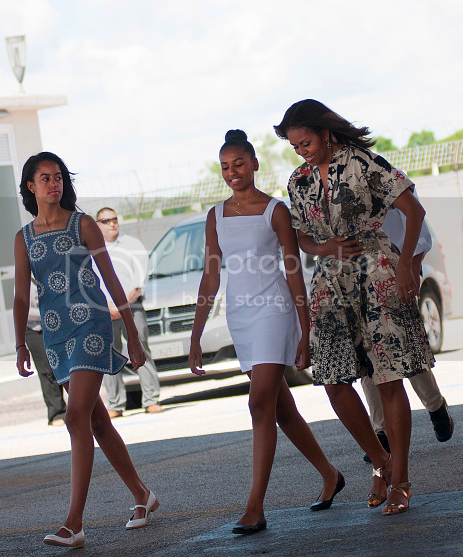 First Lady Michelle Obama is traveling Europe with her daughters, Malia and Sasha, to promote her Let's Move campaign abroad. FLOTUS met up with the Duke and Duchess of Cambridge in London last week, and she's been exploring Italy more recently. It looks like the women had a great time on the excursion to Venice which included traveling through the historic city. Take a look at a few of the snaps below.